We're pretty sure Trooper M.G. Adams thought that was a 'flat' out kind gesture. GASTON COUNTY, NC (WFMY) -- Imagine your 80-year-old grandmother being stuck on the road in the middle of the morning without any help. A thought you would never want to fathom! Lucky for one 80-year-old woman in Gaston County, she had a special someone to help her out when she was faced with a similar fate. The woman was driving early one morning in Gaston County when she suddenly got a flat tire. That's when Trooper M.G. Adams stepped in to assist the elderly woman. You can only imagine the relief she must have felt when Trooper Adams pulled up. 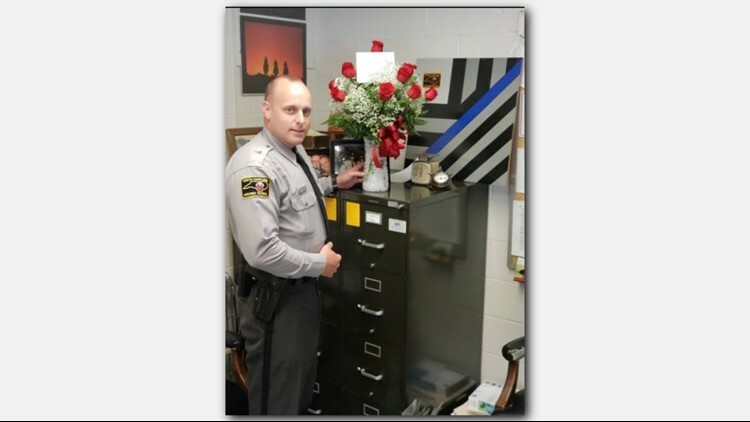 That's why she decided to show her love and appreciation for the North Carolina State Highway Patrol by sending the Troop H, District 1 office flowers! We're pretty sure Trooper Adams thought that was a 'flat' out kind gesture.